Happy New Year! Here’s to hoping that 2019 brings new friends, great accomplishments, and a variety of spectacular surprises. Whether you’ve set a resolution for the new year or not, we all want to become healthier and more active in the new year, taking advantage of the opportunity to spend twelve months improving ourselves. But sticking to a healthy lifestyle isn’t always easy. Our solution, here at InMotion? Hold yourself accountable (and excited to work out!) with the best tech for a healthy, active lifestyle. From fitness trackers to headphones designed with your workouts in mind, we have all your tech needs covered so that you can get moving, get your heart rate up, and begin improving your health in the new year. Finding a workout partner for late night lifts and early morning jogs is no easy task. That’s why FitBit has designed a line of wearable fitness trackers designed to keep you accountable, motivated, and in control of your own activity. The Fitbit Charge 3 Advanced Fitness Tracker takes fitbit’s technology to a whole new level with added features that turn your workout companion to a life partner. 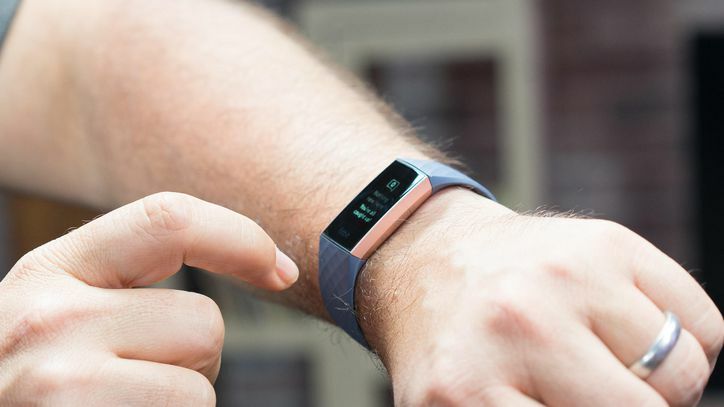 The Fitbit Charge 3 Advanced Fitness Trackers comes in a variety of sleek, waterproof styles with a smart, sharp touch screen and lightweight design that turns your fitness tracker into a functional fashion statement. With 24/7 heart rate tracking, all-day calorie burn tracking, sleep tracking, and female health tracking, your health is more accessible than ever, allowing you to take control over your health in a variety of new ways. While exercising with your newest tiny workout buddy, you’ll have access to goal-based exercises, pacing and distance measurements, automatic exercise recognition, and guided breathing sessions for your warm-down. All of this on top of features like fitbit pay, a 7 day battery life, and smartphone notifications make the Fitbit Charge 3 Advanced Fitness Trackers a piece of technology you will soon not be able to live without. With a variety of great headphones for working out on the market, finding the perfect pair for your active lifestyle can become a bit of a chore. For outdoor workout enthusiasts, look no further. 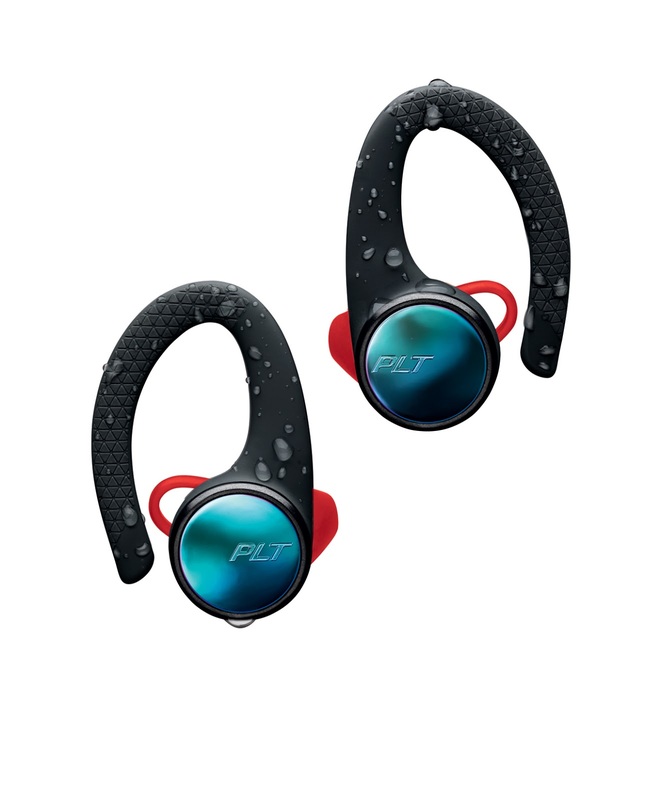 With safety a priority in mind, the Plantronics BackBeat FIT 3100 Wireless Sports Earbuds are designed to optimize your workout and listening experience without completely blocking out sounds that can signal hazard while exercising. With crisp highs and natural tones, the Always AWARE eartips allow you to enjoy your favorite workout playlist without completely blocking out sirens on the road or other hazards. Having been honored with a 2019 CES Innovation Award, the Plantronics BackBeat FIT 3100 Wireless Sports Earbuds are spectacularly designed with high quality specs and engineering. 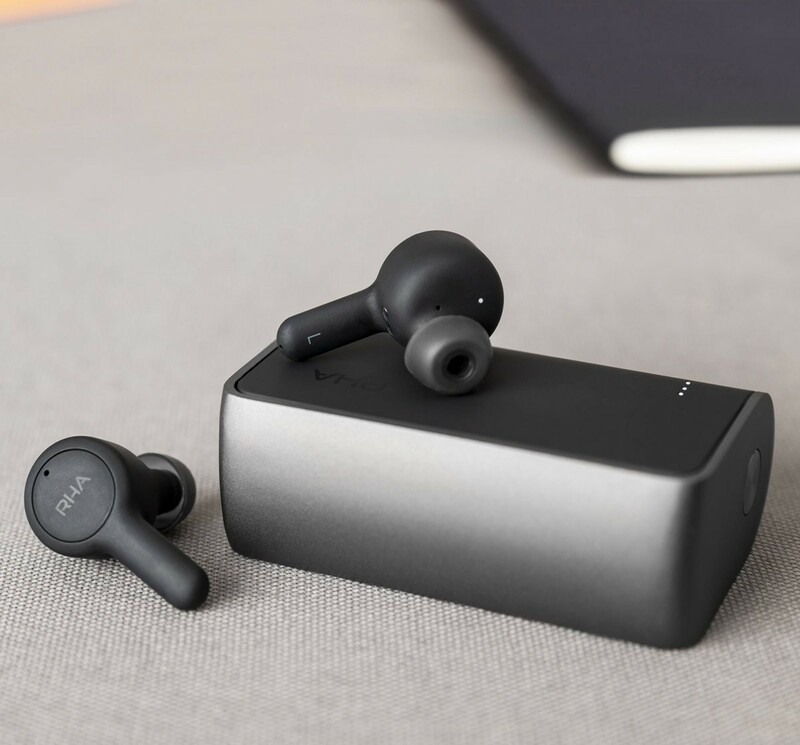 Featuring 5 hours of wireless battery life (plus another 10 hours stored in the battery pack) and IP57-rated sweatproof and waterproof design, these earbuds allow you to keep moving through a variety of workout roadbumps. With comfort and usability in mind, soft and flexible earhooks allow for a secure fit and easy access to My Tap technology: easy controls on the earpiece that can be designed to your specific needs on the BackBeat app. As competitors look to compete with the quality sounds and value of the user experience that Plantronics brings to the table, the BackBeat Fit 300 Wireless Sports Earbuds continue to impress active users and tech enthusiasts everywhere. During long distance runs and weight training, there’s nothing worse than having your hands full with your phone, keys, and money. That’s why an exercise armband is a must-have for all fitness lovers, and the Armpocket Racer Plus is one of the best on the market. Designed with reflective edges, a sweat and waterproof design, and ultra-soft bamboo and rayon mesh, you’ll be exercising in comfort with top-rated functionality. 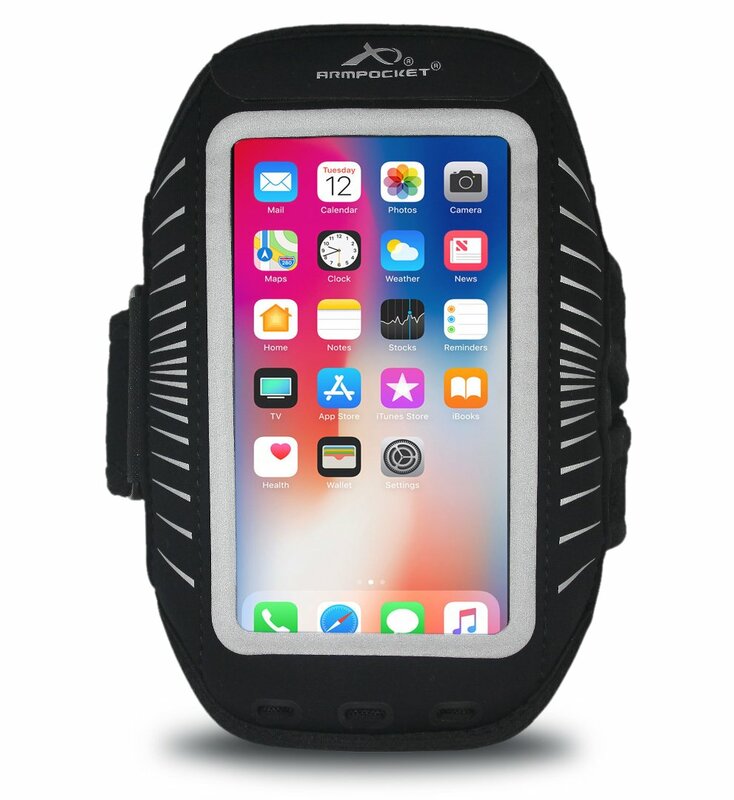 The Armpocket Racer Plus is compatible with iPhones 8, 7, and 6 Plus, Note 5, Galaxy S7 and S6, and more with plenty of space for keys, credit cards, and more. Have easy, secure access to your device with the touchscreen compatible window and holes for earbud cords on no-slip armband that comes in a fit for everyone. Giving your peace of mind and security while staying active, the Armpocket Racer Plus is the picture-perfect pocket for your every athletic adventure. When finding the perfect workout headphones, you never want to sacrifice sound quality for a secure, comfortable fit. With RHA TrueConnect True Wireless Headphones, you’ll never have to choose between the two again. The snug-fitting tap-controlled ear pieces are designed with active lifestyles in mind, featuring RHA’s TrueConnect and Comply™ TrueGrip Plus Tips to you’ll never miss a beat. Comfort meets quality sound with noise isolation for crisp, ambient sound and a long stem design that maximizes call quality. In addition to great sound quality an a fit with as much stamina as even the most intense athletes, the RHA TrueConnect True Wireless Headphones are IPX5 sweat, splash, and weather resistant and feature a workout-ready 5+20 battery life - meaning you have 5 hours of fast-charging sound in the ear pieces and twenty more hours in their handy travel case. Witch style and endurance that Olympians would envy, the RHA TrueConnect True Wireless Headphones are great for keeping you razor-focused on your workout and lifestyle goals. Staying active in the new year is something we all aim for. Stay motivated and excited for hours at the gym or on the trails with the top-rated workout tech from InMotion. On your next adventure, stop in for expert help and advice for the tech that allows you to stick to your goals.